A week ago, I thought I was out of the N24. I was a bit gutted. Matech was running high from winning the 6-hour N24 Qualifier, but I didn’t have enough money to take the seat. With a queue of more monied drivers ready to join David and Bruce (the winning drivers of the V4 class in that N24Q) I had no choice. I moved aside to reconsider my options. 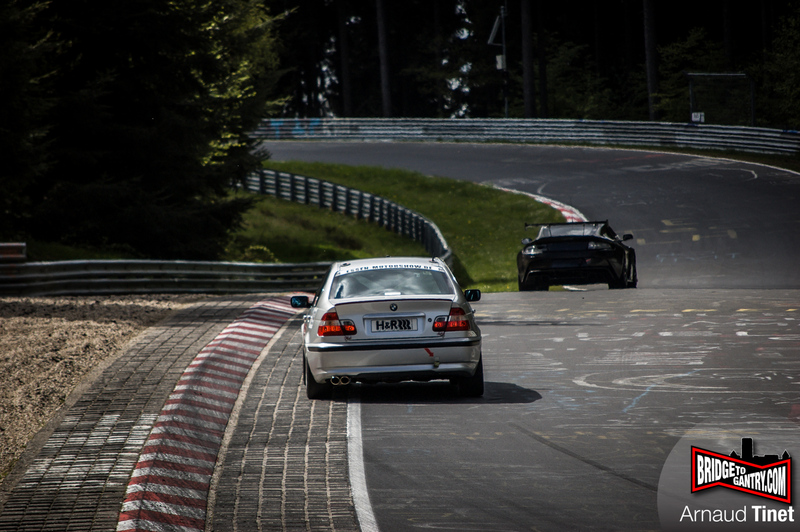 Interestingly, although the new Nordschleife Permit system hasn’t eliminated novice entries to (what I think is) the world’s toughest race, it has better valued those of us with years of experience on the Nordschleife. Even as I write this, many teams are still advertising for qualified drivers with budget. … and an idea formed. 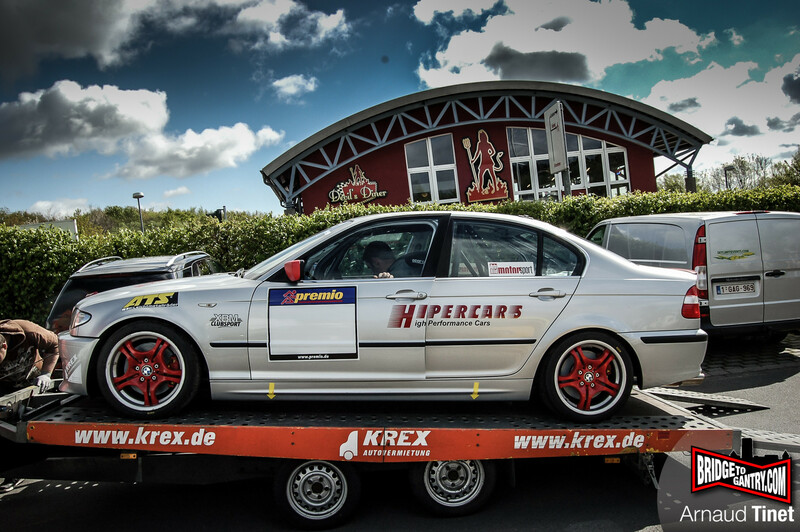 Hipercars.de had built this E46 330i 4-door to compete in V5. Nothing wrong with that, but up against big-name teams like Black Falcon with Z4s and Caymans, I could see why the demand was maybe a little bit low. But I like silver 4-door BMWs, and everybody likes an underdog. So with a superb deal on the table, it wasn’t long before I had three other BTG drivers ready to join me and attempt the impossible. “Strike from below!” he exclaimed. I think it’s a Swedish thing, or maybe it’s just his Viking roots. With support from Seabeach.se and BlueDreamResort.br his place on the grid was reserved! Next was a long-time BTG commenter, ex-Peugeot 2013 works entry, and professional wheelman Bradley Philpot. He had no money (that’s normal for anybody who drives professionally) but the thought of an all-BTG line-up was enough to get him looking. 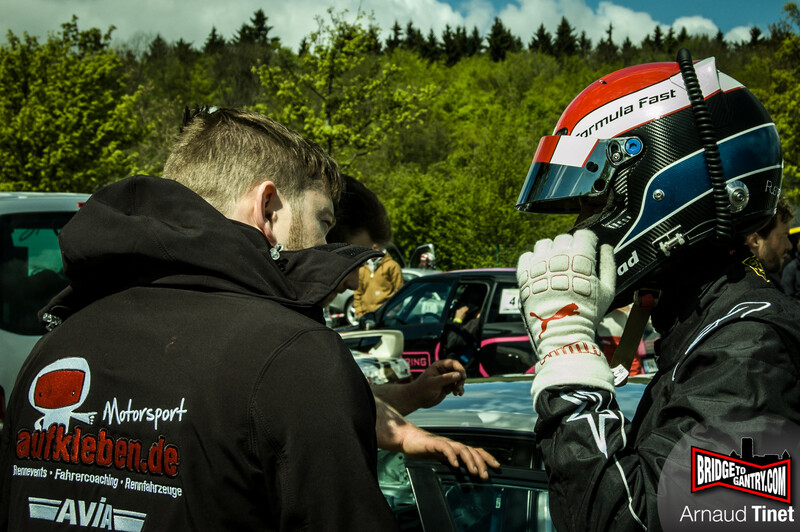 Within minutes, literally, Formula Fast were backing Bradders to make a return to the ‘Ring. And finally, after one false-start (Kris, we’ll miss you) we asked Stephen Epp (he does stickers) to join our Folié-a-Troi and make it Quatre. He’s another BTG user and my nemesis from VLN class V3 in 2014. YES! FROM YOU GUYS! It’s both humbling and empowering to know that so many love BTG and the ‘Ring enough to enable these crazy concepts to become reality. 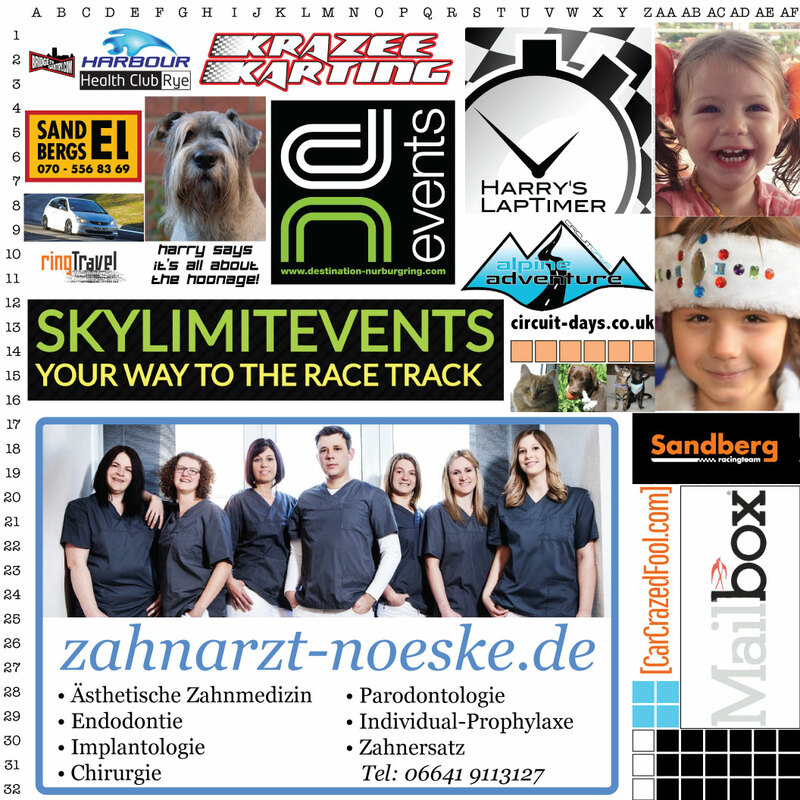 NEXT PAGE onboard video, photos and words from the Skylimits/Getspeed trackday just SEVEN days before the N24 event starts.